Very well situated in the village of São Brás do Alportel, in Serra do Caldeirão, Algarve, the Cork Factory is where it is considered the region with best cork in the world. This is the scenario where, for three generations, the business of manufacturing natural cork disks for champagne, etc, has been administered. The best champagnes, wines and sparkling wines use the corks made here. See that the Algarve is more than just beaches? 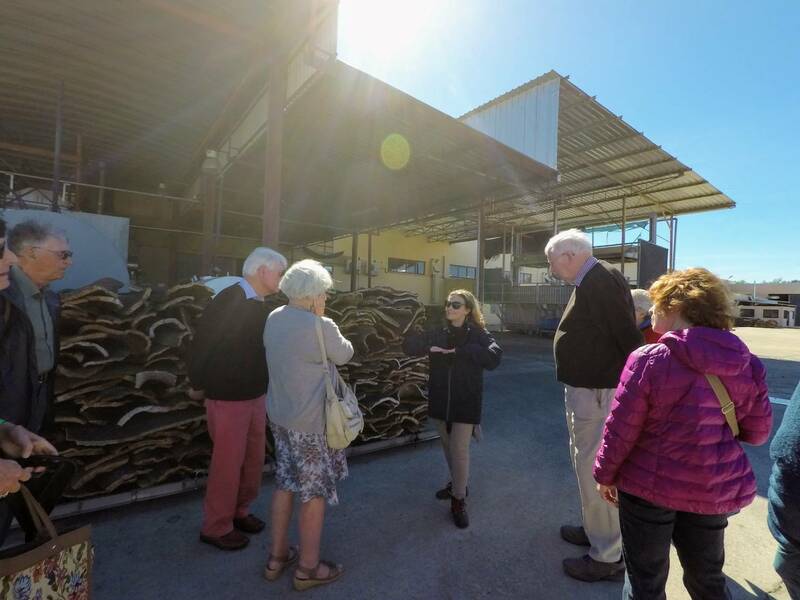 The tour inside the Cork Factory begins with the experienced guide, Catarina, explaining the history of NovaCortiça S.A. and how the process happens. According to her, a Cork tree, from which the bark is extracted for cork removal, should grow at least for 25 years until cork can be extracted for the first time. However, since the cork from the first run (called virgin cork) has low quality, irregular, light and with holes, you can’t do much with it. After 9 years, in this second run, the cork will again have a low quality (called a secundeira). It is only after another 9 years that the same tree will produce excellent quality cork (called Amadia) for the rest of its life. 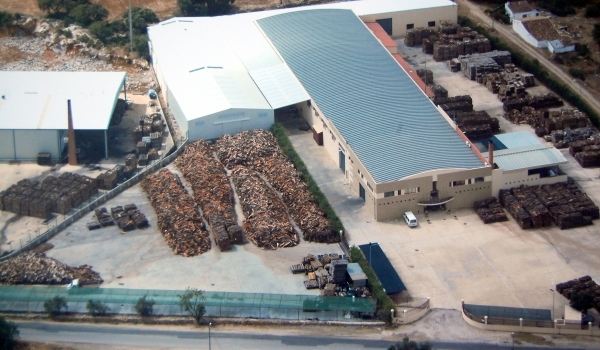 From then on, every nine years cork oaks are again extracted from the trees, now of amadia quality. So in the end, for someone to have good quality cork, the tree must be at least 43 years old. That’s a good reason this to be a family business. Cork is nowadays used to make all kinds of things. It is a versatile, environmentally friendly, lightweight and flexible material. Also, when people extract the cork from the tree, there is no environmental damage. No tree is hurt, because the technique is concerned with their well-being, and this part of the process cannot be made by machines. Low quality virgins and secundeiras corks are mainly used to produce floorboards. Already good and excellent quality, amadia, are those used for the production of clothes, shoes, handbags, and of course, champagne corks and wines. Catarina also explains the differences between corks for wines and sparkling wines, as well as the quality of the corks for each drink. The cork mill collects cork from the company’s forests every summer in the Serra do Caldeirão and transports it to the factory. There they produce corks, discs and other products. After this very well detailed explanation, Catarina shows us several unusual products that have cork as raw material. They are shoes, hats, umbrellas, dresses, among others, available for purchase at the factory’s store. Then the group leaves the conference room and actually enters the factory. We can observe the freshly cut cork from the trees, and continue with the process of adaptation. The workers then boil and press the cork in water at 100ºC, so it can be properly cut into disks. The visit follows a large shed where you can see the cork being cut into discs, which will then serve to form champagne corks, with pieces of granulated cork. Catarina explains that depending on the quality of the cork, one can identify the quality of the wine. This is truly an insider’s visit to people passionate about wine and its manufacture. It is a privilege to know the process so closely, and a surprisingly large part of Portugal‘s economy. Our beloved Portugal is responsible for producing more than 50% of the world’s cork. This production is so important for the economy that the government protects the cork trees: by law they can’t be removed. It is, principally, a traditional local business, with more than 100 years thanks to reforestation programs. 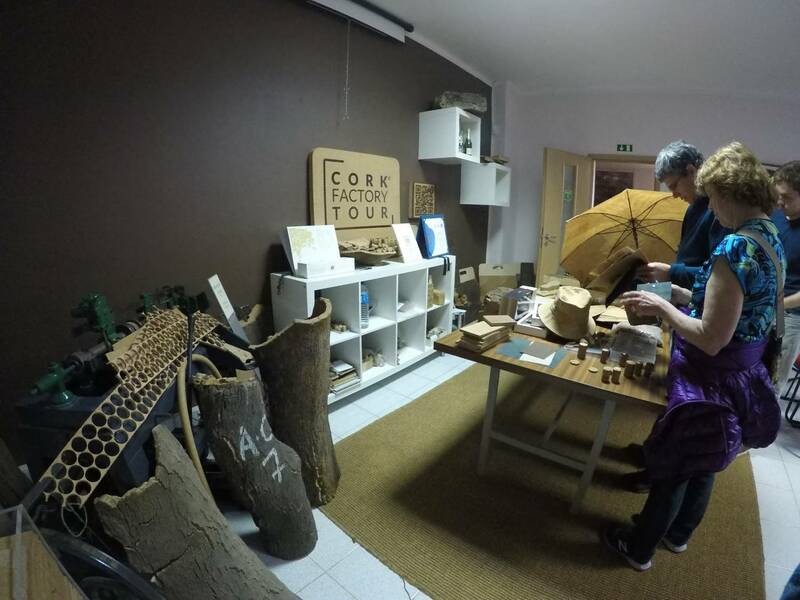 You can and must visit the Cork Factory during your stay in the Algarve. Besides being a very amusing, instructive and interesting experience, you will never look at cork the same way. The Cork Factory NovaCortiça S.A. is open almost the entire year for visits, with a very kind and attentive work team. Click here to see the tour’s page and book your visit! If you have any questions, please ask on the comments or by private chat. algarvecorkfactorytourwine Post written by Letícia Melo. Nice article. We are thinking about visiting this summer.